The Chelsea International Fine Art Competition is an ideal way for you to gain valuable exposure for your artwork, increase your confidence, put your art in front of a wider audience and help develop the resume of a successful professional artist. 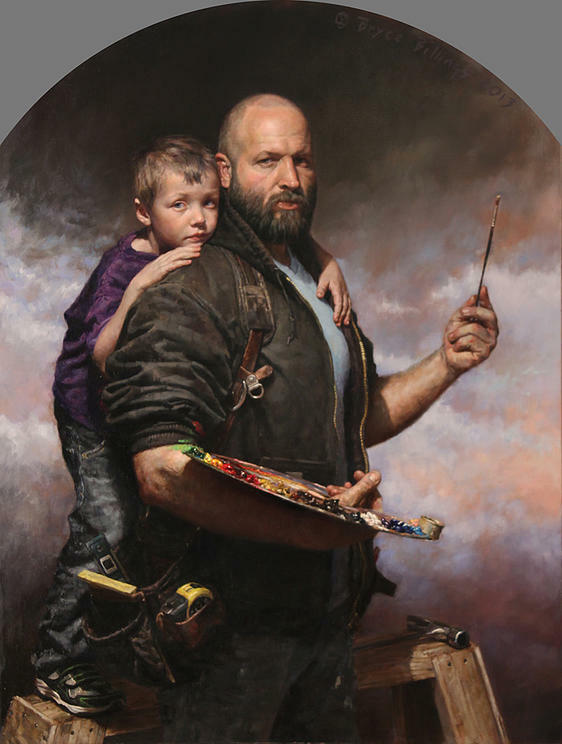 With a distinguished panel of jurors and more than $100,000 in valuable prizes the 2015 Chelsea International Fine art Competition is an opportunity you do not want to miss! It is open to visual artists from anywhere in the world at any stage in their careers. Artists are invited to submit their artworks this includes: Painting, Sculpture, Photography, Drawing, Mixed Media, and Print. Artworks will be reviewed by a panel of expert jurors, each representing different fields in the art world, ensuring a fair and balanced judgment process. Our goal is to create an exhibition, in conjunction with our annual conference, of the finest portrait and figurative work being created today worldwide. The competition is open to all artists, members and nonmembers. Submission deadline is March 4, 2015. Click on the prospectus to the right and read all the rules and guidelines. Please note size restriction for art work. -The Draper Grand Prize includes cash and prizes totaling over $10,000 and a feature article in International Artist magazine. In contemporary printmaking, many artists like to utilize several processes in one print to accomplish their aesthetic goals. Lisa Schonberg and Denise Stewart will guide you through the development of ideas as you print with multiple layers using both monoprint and screenprint techniques. Loosen up with imagery and ideas with this spontaneous approach to the development of one-of-a-kind prints. Explore color, texture, and layering while learning the basics as well as more advanced monoprinting and silkscreening techniques. This class will use a polymer Xante matrix to create immediate graphic images using Sharpie + other permanent markers to create the drawing. This process is similar to a paper litho but with more longevity. The plate[12×15] + a Sharpie marker included. Bring drawings and images with you to class. Paper litho aka Xerox Litho will also be demonstrated. This class includes a free Open Studio pass. 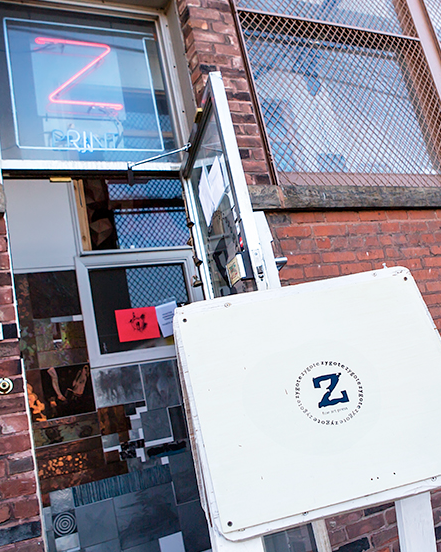 Zygote Press is located at 1410 E. 30th St. in Cleveland. Visit Zygote online here to sign up for these courses, or to check out what other workshops they have to offer! The Williams Prize in Drawing for Emerging Artists is a celebration of drawing as a critical element in contemporary art making and as an art form with powerful expressive possibilities. Designed for applicants whoa re creating 2D work with either traditional or experimental approaches and materials, we are not seeking digitally created or enhanced art. Drawing media that are encouraged include: chalk, charcoal, Conté, graphite, marker, metal-point, pastel, pen &ink, and pencil. There is no theme that must be suggested by the artist, but all art must be original and completed independently within the past 2 years (2013-present). 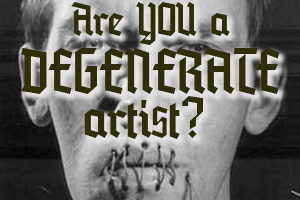 “Emerging artists” are those artists who self-identify as “emerging” rather than “mid-career” or “established” artists. Two of your favorite things at once: Drink & Draw! Whether you are an artist or just dabble in doodling, this event is open to all individuals at all skill levels. Drink & Draw has hosted professionals, graduate and undergraduate students, alumni, professors and faculty, and even those who just want to blow off some steam with no artistic background attend the events. 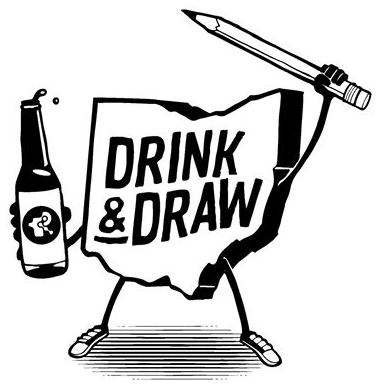 Tuesday, March 10th beginning at 7:30 PM at St. James Tavern (POP UP #14) will be the 41st session of the original Drink & Draw – Ohio. The theme for this Drink & Draw event is “Atlantis and Deep Sea,” so whether you feel like a God or that your day is pretty much swimming with the fishes, this theme leaves plenty of room for interpretation. Get your creative and adult beverage juices flowing Tuesday, March 10 at St. James Tavern. Parking is available in the Tavern’s lot on Detroit Ave., as well as along Fourth Street and side streets. Curators are, perhaps, the most vulnerable individuals during a controversy. Their jobs are often at stake as they are under pressure from artists who are rarely willing to negotiate the presentation of their work and from museum administrators concerned about donors, trustees, legal liabilities and public relations. This one-day seminar offers curators the opportunity to discuss, among colleagues and with experts, the challenges of organizing and presenting exhibitions containing controversial work. The seminar sessions will be followed by an evening panel discussion that will be open to the public. Given that it is curators who frame the context of an exhibition, during a controversy they are usually the ones to also negotiate with the hosting institution and the general public, handle the fallout of controversies, while also making decisions about keeping or removing specific works. The goal of this seminar series is to inform and equip curators with strategic and legal means with which to safeguard their curatorial vision and to negotiate effectively with diverse and interested parties. The seminar consists of four sessions, led by Johanna Burton, director and curator of education and public programs at the New Museum, Laura Raicovich, Director of the Queens Museum of Art, Sergio Muñoz Sarmiento, artist and art lawyer, and Robert Storr, artists and curator, Dean of the Yale School of Art. Application process: the workshop is open to early and mid-career curators-both independent and those working within institutions. The Seminar Series is limited to 15 participants. Next Level emotional intelligence leadership training draws on theory from psychology, linguistics, neuroscience, sociology, and organizational development to create amazing results. They are sophisticated, intensive experiential workshops. The training works through a combination of lecture, sharing, small group interactions, games, guided visualizations and homework. They give you the opportunity to evaluate what you want to improve, enhance or alter in your current living situation and to create optimal results in all domains of your life. The Next Level trainings are for people who are ready to create extraordinary results in their lives. The training formula allows for everyone to be included, regardless of learning style preference, prior education or socioeconomic background, promoting learning through diversity. The Next Level teachings emphasize shared leadership, transformation, and emotional intelligence that in turn support relationships in all aspects of life. Welcome Spring with this easy intro to printmaking on Saturday, March 14 from 10am-3pm with instructor Cindy Davis. 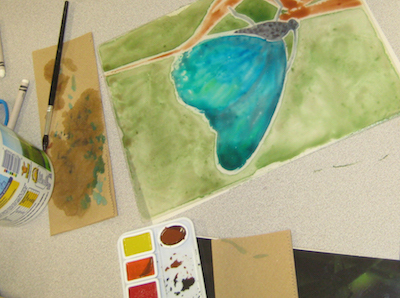 Watercolors can be tricky to work with, but not when you paint on a plexiglass plate! Use our supply of images, work form your imagination, or bring your own 8×10 photo. (Reverse the image, if a mirror image is not desired) Bring a lunch or order from the cafe in our building. Fee: $50 includes all materials. 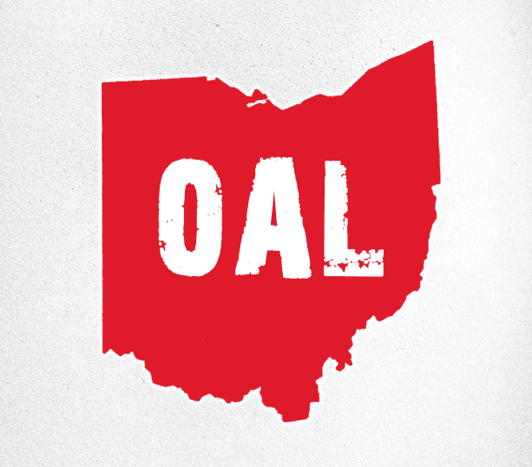 OAL’s Spring Juried Exhibition Opening Reception next Friday! Join the Ohio Art League staff, members and selected artists for our Spring Juried Exhibition’s Opening Reception Friday, March 6 from 6 to 9 PM!! This year’s Spring Juried Exhibition (SJE) is to be held at Mount Vernon Nazarene University‘s Schnormeier Gallery from March 5 through April 15, 2015. CCAD’s own professor and director of Graduate Studies, Richard Petry, will be our juror of esteem, so you won’t want to miss the works he selected! Artists, don’t forget, drop off for artwork is Feb. 28 and March 1st from 10 am to 4 pm at the MVNU gallery. Join us as we host Elaine Grogan Luttrull for The Business of Art: Financial Literacy & Career Planning for Artists on March 14 & 15. In this multi-day workshop participants will discuss common challenges faced by visual, performing and literary artists. Elaine will lead discussions and activities to empower creative entrepreneurs and freelancers to follow their passions and build sustainable careers. Topics covered will include goal setting and the art of budgeting for projects both personal and professional. She will also share the best ways to manage irregular cash flow, including how to determine the “right” amount of cash to have on hand. Tax and healthcare questions common to creative entrepreneurs will be covered on Day 2. Elaine is the author of Arts & Numbers: A Financial Guide for Artists, Writers, Performers, and Other Members of the Creative Class. She’s also a CPA and founder of Minerva Financial Arts, a company devoted to bridging the gap between business and the arts. 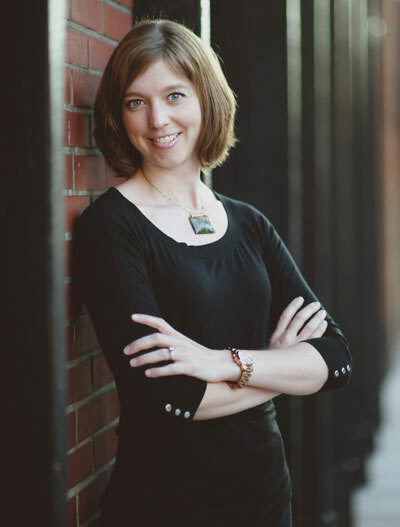 She is head of the Business & Entrepreneurship Department at CCAD, and her presentations have been featured nationally by Americans for the Arts, the Foundation Center, and the DeVos Institute of Arts Management at the Kennedy Center.